The list of Italian wine regions is organized by highest volume of D.O.C. wines. In the first post we talked about the most important wine regions of Italy also they highest number of bottle produced. Tuscany, Veneto, Lombardy, Piedmont, Emilia Romagna they all together have more than 60 % of D.O.C wines. Sagrantino is the bets red wine and Orvieto (a white wine). Sagrantino is the red grape variety in Umbria that people go crazy over. In Montefalco, you’ll find Sagrantino but there’s also a fair amount of Sangiovese grown in the region. The white grape here is called Grechetto with minerally and zesty qualities similar to Pinot Grigio. The commonly imported white wine from this area is called Orvieto (made with Grechetto, Trebbiano, Malvasia and Chardonnay). Montepulciano is the primary red grape in Abruzzo and the wines are called Montepulciano d’Abruzzo. This is a bit confusing because there is also a Vino Nobile di Montepulciano which is a wine from Tuscany made with Sangiovese. Montepulciano (the grape) makes a dark rich wine with high tannins and an herbacious character and is similar to Cabernet Sauvignon. Lacrima is an up-and-coming grape from this area making fruity fun wines that remind me of Syrah. Look for white wines like Muller Thurgau and Gewurztraminer and sparkling wines. This region is butted up to the Alps and makes fabulous white wines from Pinot Grigio, Pinot Bianco, Gewürztraminer and Müller Thurgau (the latter two are sweeter). In Trento, they also produce a sparkling wine made with Pinot Noir and Chardonnay Trento Doc. 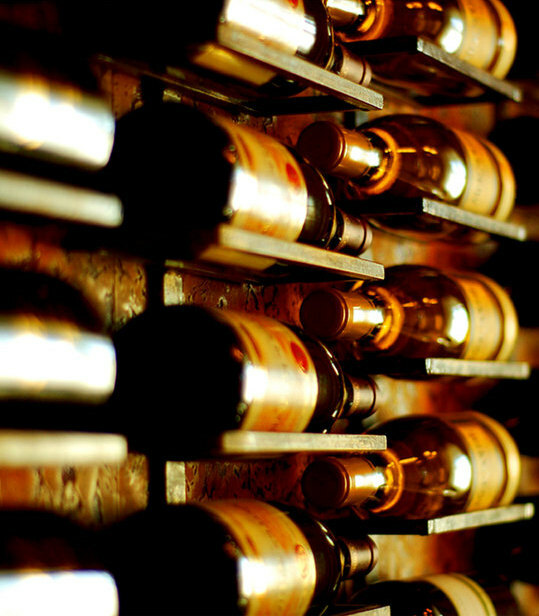 Look for white wines, particularly Sauvignon and Fruilano. Fruili produces a lot of Pinot Grigio but some of their best wines are made with the local Fruilano but they called Tocai grape and Sauvignon Blanc or Ribolla Gialla, the red wines arent so good but Schiopettino is doing well. They also are famous for the sparkling wine Prosecco di Valdobbiadene a perfect wine for aperitivo. Marche (Mar-kay) is known for their aromatic white wines. Verdicchio is definitely the most common, but Pecorino (the white wine grape, not the cheese) is an extremely special find.